IsoLife congratulates Tsugawa et al. with the discovery of 69 new plant metabolites! 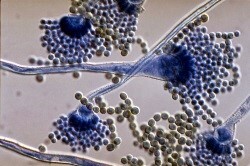 Molecular structure of U-13C fungal cell walls unravelled. 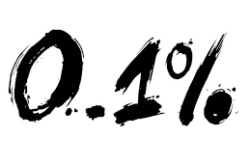 Now also available: 0.1 atom % 13C Maize (depleted)!. 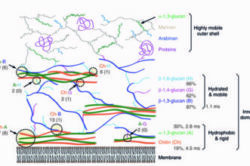 IsoLife’s U-13C Aspergillus fumigatus has been used to unravel the structure of fungal cell walls with solid-state NMR. The results of Kang et al. (2018) published in Nature can be used to promote the development of cell wall-targeted antifungals to combat invasive fungal infections in humans. IsoLife recently succeeded in producing maize plants depleted in 13C as low as 0.1 atom % (D-13C Maize). Exemption for U-13C Cannabis and U-13C Cannabinoids. IsoLife’s pure U-13C Lignin used as extremely accurate and precise Internal Standard. IsoLife has acquired an exemption from the Dutch Ministry of Health, Welfare and Sport for supplying 13C labelled cannabis plants and cannabinoids to the international research community. Our recently developed, pure U-13C Lignin from maize (~90%) has been used for the first time as Internal Standard for lignin quantification with Pyrolysis-GC-SIM-MS (Van Erven et al., 2017). 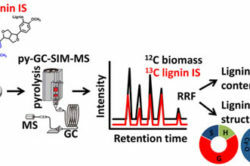 The method was shown to be extremely accurate and proved to be a promising alternative for high-throughput quantification of lignin in biomass samples. 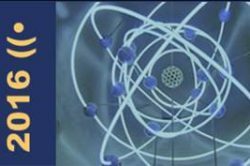 IsoLife sponsors the conference Jesium 2016. The conference Joint European Stable Isotopes User group Meeting (JESIUM) was held in Ghent, Belgium on September 4 – September 9, 2016. IsoLife was sponsor of the conference and presented a poster on 13C-applications in studying changes in soil microbial processes and communities. Wild B et al., 2016. Plant-derived compounds stimulate the decomposition of organic matter in arctic permafrost soils. New on IsoLife’s products list in 2016: U-13C / U-15N Fungi. U-13C Chitin – our first 13C fungal product – is now followed up by a large range of other fungal products Read more ». 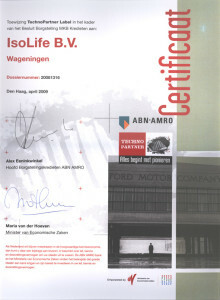 IsoLife started on February 8, 2005 as a new, independent company with world-wide unique stable-isotopically labelled products. 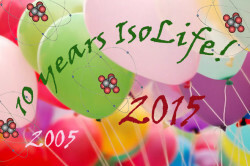 Ten years later, IsoLife’s products are sold all over the world and served many scientists in the Life Sciences with publications in Science and Nature as significant highlights. Japan Office Opened to Develop the Market in Japan for IsoLife’s Stable Isotope Labelled Phytochemicals and Plant Products. The project proposal “Optimizing early-life dietary carbohydrates to improve later-life metabolic health” has been granted. 13C Inulin unravels mechanism of body weight decrease after colon fermentation. The first rat study with U-13C Inulin has been published. ChromaDex® To Distribute IsoLife Stable Isotope Labeled Phytochemicals And Plant Products. For the first time, 13C-maize has been used to study the passage kinetics of maize silage components through the gastrointestinal tract of dairy cows. 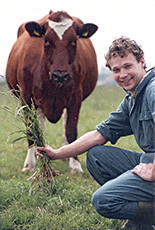 Journal Dairy Science 96 :1–15. 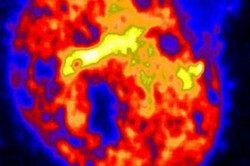 NanoSIMS reveals 13C-carbon tranfer between symbiotic organisms. First results on sulfur-containing metabolite-targeted analysis using LC-FT-MS and U-13C Onion bulb. Now also available: U-13C and U-15N Chlorella vulgaris. Food for Thought: The meaningful role of stable isotopes in health-related food research. 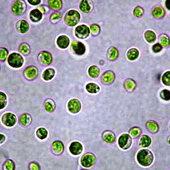 Stable isotope labelled Chlorella vulgaris is used in food studies. It is an attractive potential food source because it’s high protein concentration: 45% (Wikipedia). Stable isotopes are playing an increasingly crucial role in state-of-the-art applications in health-related science and technology. IsoLife proudly presents BroccoCress grown from uniformly 13C-labelled seeds. IsoLife sponsors the conference ‘BASIS 2012′. 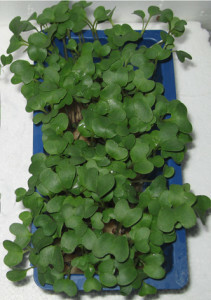 The broccoli sprouts will be used in clinical studies on bioavailablity. Nijmegen, The Netherlands, in “Forum de Ganzenheuvel” in the city center, on Thursday and Friday, April 12 and 13, 2012. IsoLife sponsors the conference ‘MR in FOOD 2012’. conference and will present posters on 13C-applications in tracing foods and in quantitative mass spectrometry. IsoLife proudly presents the first uniformly 13C-labelled tree species! IsoLife sponsors the conference ‘Metabolomics 2011’. conference and presented a poster on 13C-applications in metabolomics. IsoLife sponsors the conference ‘Ecology of Soil Microorganisms 2011’. IsoLife publication:’No de novo sulforaphane biosynthesis in broccoli seedlings’. The Conference ‘Ecology of Soil Microorganisms‘ held in Prague on April 27 – May 1, 2011 was a well-organised and successful meeting. Several contributions showed that 13C-applications do extend the possibilities to identify active soil microbes assimilating carbon from different substrates in complex ecosystems. For those who missed it: download our poster presentation here. The isothiocyanate sulforaphane, present in significant amounts in broccoli (Brassica oleracea L.) seedlings in the form of its precursor glucoraphanin, has been identified as an inducer of quinine reductase, a phase-II detoxification enzyme known for its anticarcinogenic properties. Here, we unambiguously demonstrate in that sulforaphane is not biosynthesised de novo during the first week of seedling development. Both 12C (99 atom%12C) and 13C (98 atom% 13C) broccoli seeds were produced and subsequently germinated and grown either in a 13CO2 or a 12CO2environment. Afterwards, the labelling degree of sulforaphane in seeds and in seedlings was analysed by HPLC–MS. We conclude that sulforaphane exclusively originates from seed reserves and that de novo biosynthesis is not detectable in broccoli seedlings. Our findings have been published in Food Chemistry (for further details see Applications). Ask a reprint. Steering and control of plant quality. Trace gas detector central in large EU project Ultragas. 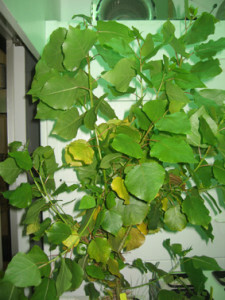 A challanging new project was granted on the steering and control of plant quality within the Biotech Systems Platform. The trace gas detector developed at Radboud University Nijmegen plays a central role in a 4,2 Meuro EU-project. The innovative measuring technique will be applicated in fruit storage, greenhouse crops, and in medical diagnostics. Stable Isotopes Support Functional Ingredients Research. The Intecol congress held in Brisbane on August 15 – 21, 2009 has been a very successful event. Interesting discussions with participants, nice temperatures, and good foods & drinks, have yielded new valuable ideas on how to use stable isotope labelled higher plants and plant components in ecological sciences. 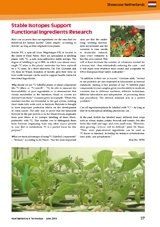 Interview in Food Marketing & Technology about the use of stable isotopes in food research. A novel method for the quantification of quinic acid in food products. Prize winning publication with IsoLife’s 13C-potato starch. Publication of “A novel method for the quantification of quinic acid in food using stable isotope dilution analysis”, based on the use of IsoLife’s 13C-Quinic acid as an internal standard. IsoLife receives the TechnoPartner Certificate. Healthy food: Potato products with low caloric values and high dietary fiber contents. The Dutch minister of Economic Affairs Maria van der Hoeven and ABN AMRO have awarded IsoLife’s highly innovative R&D plans with the TechnoPartner Certificate. The certificate acknowledges the courage, knowledge, and perseverance to further develop her innovative initiatives to commercial successes. Potatoes are a good, natural source of carbohydrates, energy, dietary fiber, minerals, and vitamins.13C-labeled potatoes are extremely helpful to investigate the caloric properties and the behavior of functional components of specific potato varieties in a normal daily diet. For this purpose, IsoLife has produced several stable isotope labelled potato varieties during recent years. One of the projects – co-financed by ‘Samenwerkingsverband Noord-Nederland’ and performed by IsoLife in co-operation with the partners HZPC, Aviko and the University Medical Center Groningen – investigated whether the caloric value of potatoes and potato products could be (further) decreased by specific procedures in potato breeding or product processing. HZPC Holland BV is a breeding company and a trade company for the development and sales of innovative potato varieties in the potato supply chain with focus on potatoes for consumption and potatoes for French fries, chips and the food chain. AVIKO BV is the largest Dutch producer of potato products with focus on health aspects. The results, based on detailed experiments with 13C-labelled potato products, show that the caloric value of potato products can indeed be (further) decreased through changes in their composition. Development Fund, and the “Samenwerkingsverband Noord-Nederland (SNN)”, a joint agreement between the provinces of Drenthe, Groningen and Fryslân. EZ/KOMPAS under number AA099. Development of 13C-labelled cannabinoids and 13C-hemp oil fatty acids. IsoLife BV, Prisna BV and Bedrocan BV have joined forces to develop a new high-quality hemp oil and an innovative set of reference standards for mass spectrometry, including 13C-labelled cannabinoids and hemp oil fatty acids. Isolife BV has been identified by FEM Business Tech 25 as one of 25 young, innovative companies who ‘shake the market with brilliant ideas’. Methane emission from plants: Yes they do! No they don’t! The first uniformly uniformly 13C-labelled tomatoes (Lycopersicon esculentum Mill. cv ‘MicroTom’) were harvested. In 2006, Nature published a sensational article by Keppler et al, who claimed that plants would be able to emit methane under aerobic conditions. A Dutch consortium consisting of IsoLife, Plant Research International, Plant Dynamics, Nijmegen Radboud University, Utrecht University tried to reproduce their results using a novel technique with uniformly 13C-labelled plants. We found methane emissions that were between 0.1% and 0.3% of the rates reported by Nature. Apparently, the textbooks do not have to be rewritten. Our findings have been published in New Phytologist (for further details see Applications; for more news read the News commentaries).Ask a reprint. We are proud to have served our customers with mature, uniformly (~98% 13C) labelled tomatoes. the congress “Biomedicine in the Post-Genomic Era” in Mexico. They concluded that “RNA-SIP has the potential to elucidate microbial structurefunction relationships in the human colon, e.g. regarding the fermentation of dietary relevant carbohydrates”. For more details download the WCFS poster. 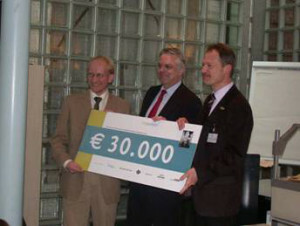 IsoLife’s businessplan received the BioPartner Masterclass Award 2004. The plan was judged by a jury consisting of representatives from industry, the financial world, and BioPartner. The founders of IsoLife, Ton Gorissen and Ries de Visser, received the price from Chris Buijink, Director-General Enterprise and Innovation at the Dutch Ministry of Economic Affairs. Always wanted to publish in Nature or Science?